The gun question was asked by a male student who appeared to be 13 or 14 years old. Reading from a large index card, the boy said, "When you become president, what is your plan to connect mental health problems and guns to make sure that me, my brothers, and my friends are safe from violence at school?" 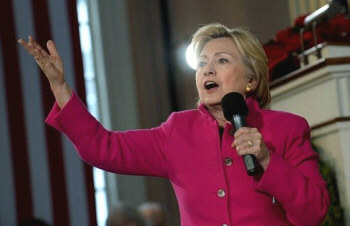 According to C-Span, Clinton responded, "I'm going to do everything I can do, and I'm never going to stop trying.' She talked of how many people she believes are killed annually because of guns, then said, "I think we need to pass some laws that I have been advocating for." The broken record continues - same old same old with almost predictable useless ideas. Other that is, than further penalizing law-abiding gun owners, which has to be seen in part as an example of the left's desperate vote-catching approach. We have also read about a supposed new ban bill in Congress with very broad proposals - many, as so often, based on cosmetics, as well as magazine capacity. Yet again the "assault" rifle is under major attack.